The Sketchbook Project asks artists of all levels to complete a small book with ideas, drawings and sketches. I recently completed my sketchbook and below a preview page can be seen. My book is called ‘Fashion Design For Monsters’. 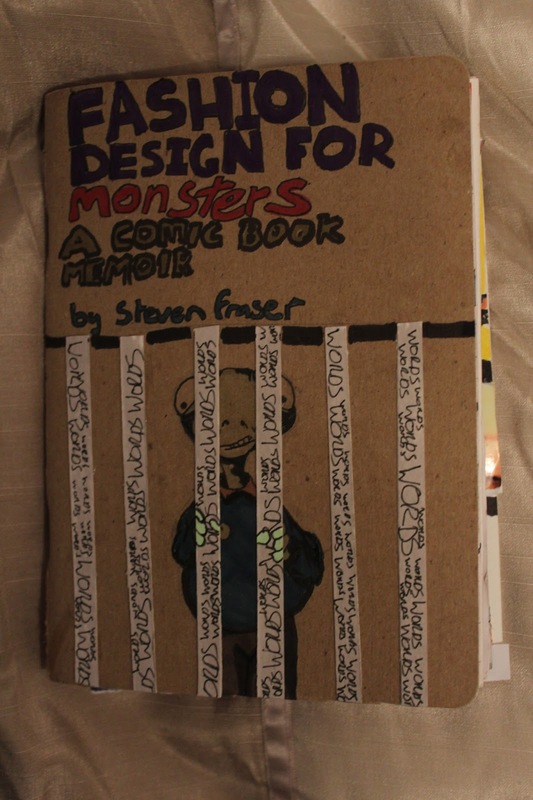 It has this title as several of the sketches involve fashion designs for different types of monster. There are also comic book pages and some text in my sketchbook. The below image is a badly taken photograph of the front cover.